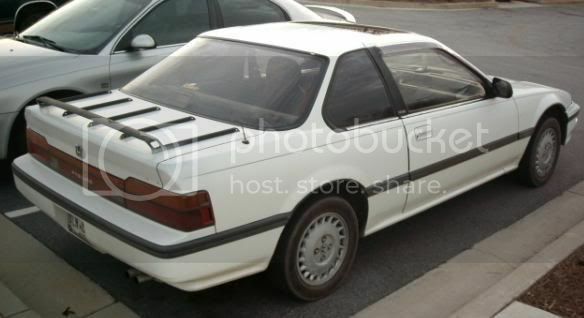 Teggy as for white that is an awesome color on the prelude if seen in person. Also you can check out preludepower.com for full details on everything about our ludes. Hope I helped and good luck with the project. Oh and btw I don't need new paint it's just the hood. I just got the block, crank, pistons, rods, & head, back from the machine shop sunday. (along time, eh?) Well, Between about 25 trips here and there to grab parts and waiting on ordered parts (parts for this car are hard to get a hold of) I just got the motor finished up last night and put it in. I'm waiting until tomorrow to get the halfshafts, a new radiator, radiator hoses, distributor rotor, and a clutch slave because now is thanksgiving and everything is closed up. But, I'll order that stuff tomorrow and have this thing running as soon as it comes in. Still have'nt gotten a new digicam since my old one broke but I got some pics from my camera phone that I'll post soon. Everything will be cleaned up very nicely once I get it running and I need to paint the valve cover and manifold heat shield. Bwah? I thought Doderida67 was gone for good? So I got the 'Lude on the road Monday before last. Been running strong and I've put over 1,000 miles on it so far. Good power, no leaks, no problems, good compression, good vacuum, smooth idle, smooth all throughout RPM range, minimum blow-by, ect. Strong healthy motor. Awesome to drive because it's light, rev-happy, and the all wheel steering is a dream. The 5 speed transmission is well known to be a very, very, I repeat, very smooth shifting transmission. Like slicing through bread. New clutch is great. I have a good sound system in now but I'm going to go ahead and get a set of four new 6.5" 4 ways and put a good amp to go with them. I'm going to get the windows professionally tinted with good quality tints. I'm going to install a new brake system from MC, Hoses, Pads, and Rotors. New springs, shocks, and bushings in the suspention, too. New tires and a set of white wheels. 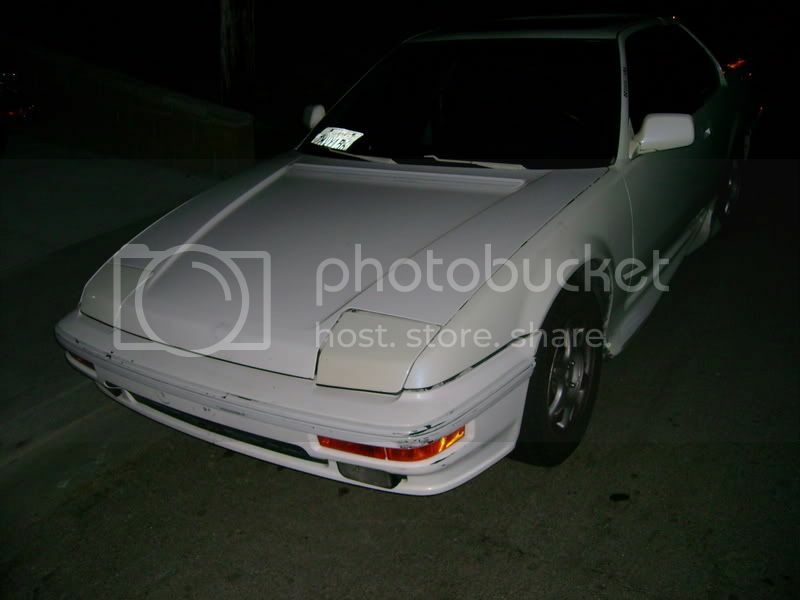 To finish it off I'm getting new fenders, hood, and trunk lid and I'm going to paint the car. It's a great car and fun to drive. well, i used to have one, and it was a great car. 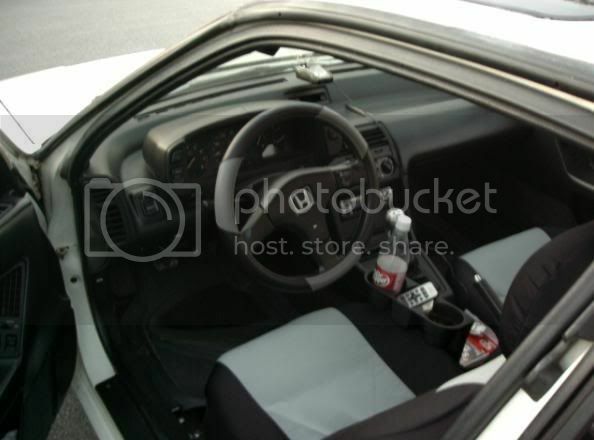 they are one of the worst cars to work on, having such a cramped engine compartment. but being that you are taking the engine out, it might not be too bad. gl.